Are you ready for more Takahashi innovations? 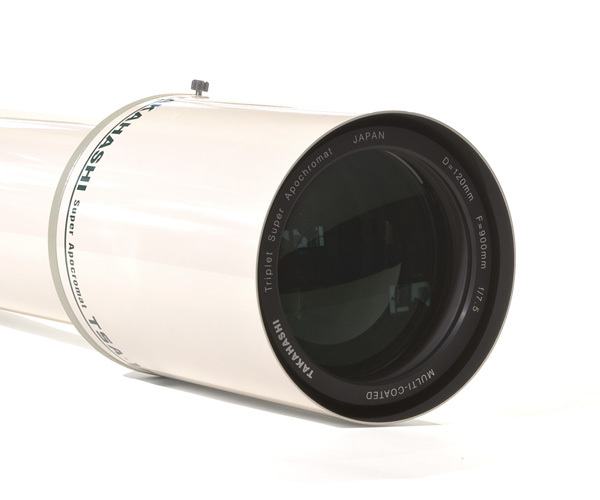 You asked for superior quality optics in a portable package and you got it... the Takahashi TSA-120. 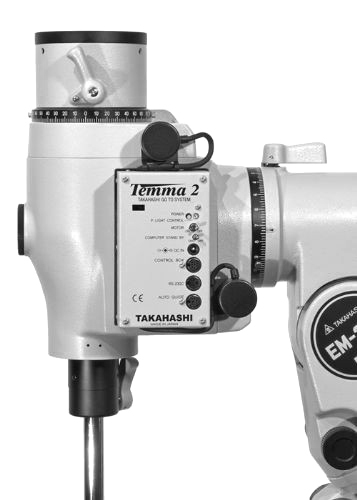 But now, let's go it one better by adding a Takahashi EM-200 Temma II Mount! 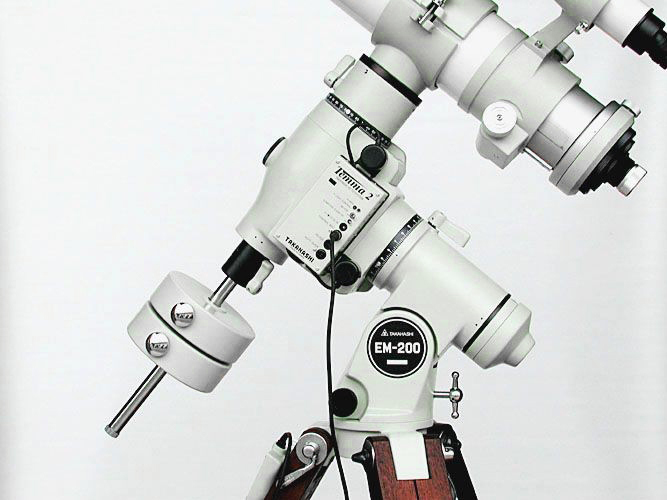 The Takahashi EM-200 Temma II is an accurate, precision-built GoTo German equatorial mount that provides a stable platform for payloads of up to 40 pounds. 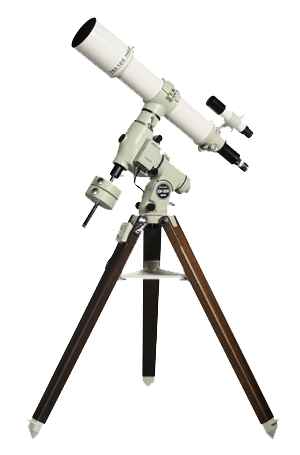 It is an ideal mount for any type telescope, be it a refractor, reflector, or cassegrain. The modern aesthetic design of the EM-200 is highly attractive as well as beautifully functional. The RA and DEC stepper motors are fully integrated into the mounting,and the high precision design and construction provides cyclic errors lower than +/- 5 arc seconds. 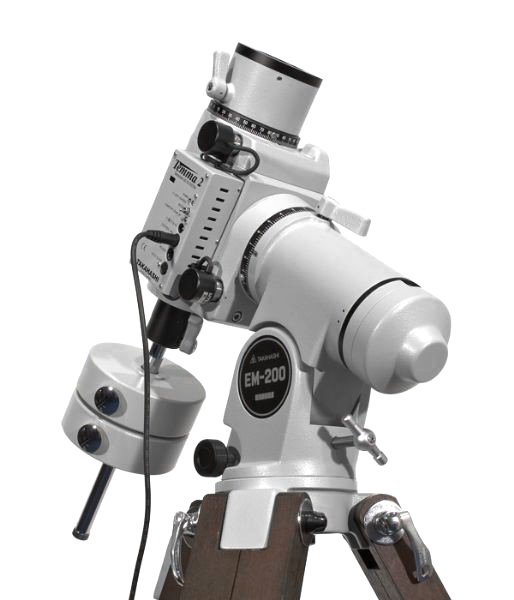 The integrated polar alignment telescope has an illuminated reticule which can be dimmed to suit the user or observing conditions. In conjunction with the precision altitude and azimuth adjusters, this will typically give polar alignment accuracy within 2 minutes of arc of the celestial pole. Included in this package are an RS232C cable, ST-4 or ST-7 cable, shaft encoders, hand controller, power cord for both 12V and 24V operation. The new style EM-200 mounts include the ability for operation on 12v or 24v and feature high speed slewing at 700x at 12v and 700x at 24v. 12V operation takes place with the use of the hand controller only (12v DC only for high speed operation). The mount will then function just like the EM-200 USD model (no GoTo functions). 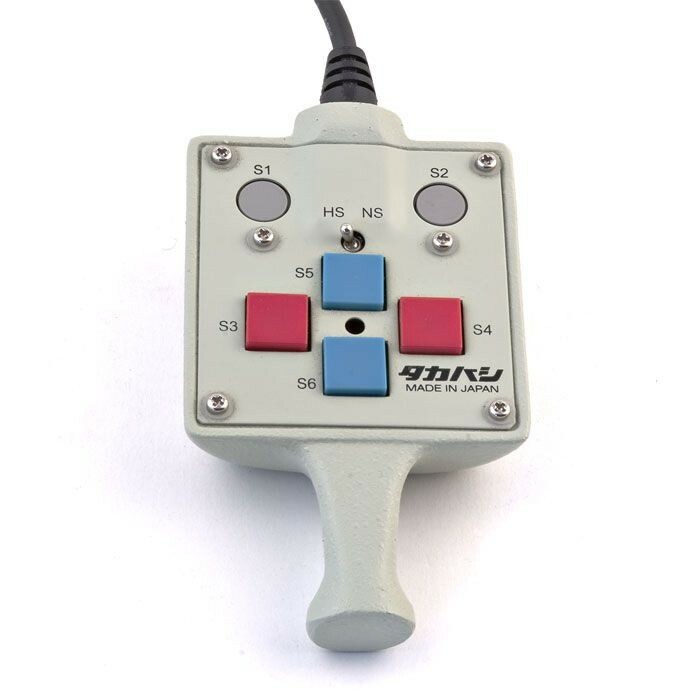 However, with the use of the hand controller and your PC, you can operate with 12V or 24V (two 12V batteries connected in series). 12V will give you a slewing speed of up to 700X sidereal, and 24V will produce slew speeds of up to 700X. A hand controller and power cable for 12V/220V battery connection is included. A PC is required for GoTo operations. 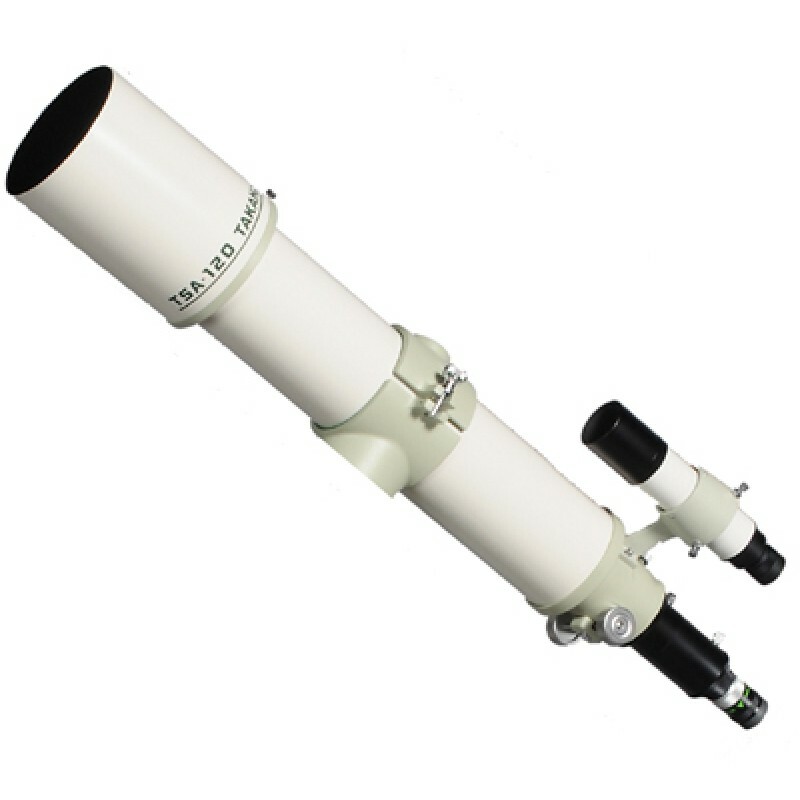 With TOA-35 Flattener:Focal Length: 882mm - Focal Ratio: f/7.3 - Optical Performance: 7 micron RMS-spot to 20mm off axis - Image Circle: 40mm - Image Field: 2.6" diameter. German Equatorial Mount - R.A. and DEC. Slow-Motion Motor driven. Encoders Included. 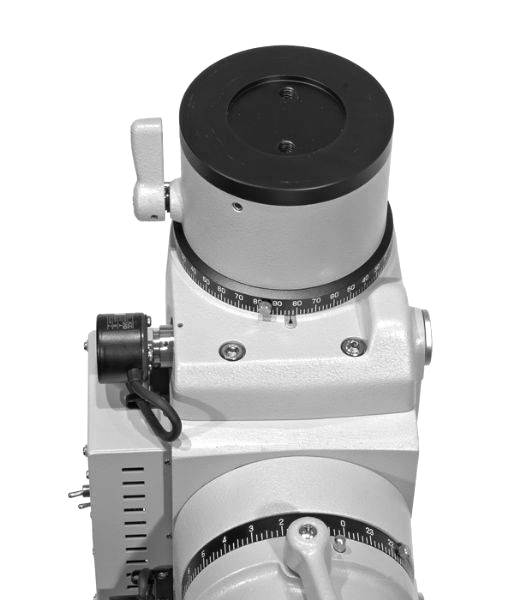 Azimuth Adjustment ± 15° - Elevation 10 to 48° - Polar Finder / Accuracy Built-in / 2' - 4.45 degrees - R.A. Setting Circles Accuracy 10 arcminutes - DEC. Setting Circles Accuracy 2°. Weight (without counterweights) 15 kg - Counterweights 2 x 5kg - Maximal Loading Capacity 18 kg (without counterweights) - Optimal Loading Capacity 15 kg (without counterweights). 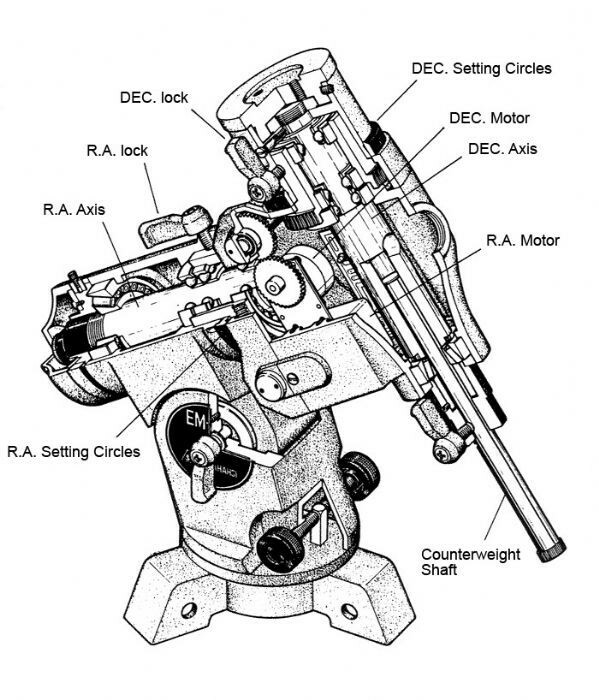 R.A. axis diameter. (material) 40 mm (bronze) - R.A. worm gear shaft diameter (material) 18 mm (iron) - R.A. gear diameter (material) 92 mm/180 teeth (bronze). DEC. axis diameter (material) 40 mm (iron) - DEC. worm gear shaft diameter (material) 18 mm (brass) - DEC. gear diameter (material) 92 mm/180 teeth. Stepper Motors Accuracy 50 PPS - Slow motion speeds 0,1x to 1,9x sidereal rate - High speed mode 700x sidereal rate. You will not be disappointed with the Tak 120. You will have to keep reminding yourself that this is only a 120mm aperture scope. And they are as/almost as portable as most 4” refractors. Below is “part” of what Jim Phillips had to say (right here on CN) about his Tak 120. Jim is very experienced refractor user and observer. “Over the years I have owned and used a variety of apochromatic refractors from AP, TEC and TMB/APM from 4" to 10" apertures. They are/were all top quality telescopes. I have become interested in imaging over the past 10 years and use apos for that purpose. In, fact as I became more and more into imaging I observed visually less and less. Until recently I spent only occasional time (usually of relatively short duration) at the eyepiece. I decided I wanted to get back to doing some visual observations and decided the best way was to get a "small" aperture apo that I might not be so tempted to use for imaging. Also, as quality double star observations can be done with small aperture scopes and is of interest to me I decided I wanted something between 4" and 5" aperture. Enter the takahashi TSA 120. To me the star test is perfect. Last night something amazing happened. I was observing visually with the Tak TSA 120 and imaging Saturn with my TMB 8" F/9. The seeing was Very Good. I used the Tak on doubles. At the end of the session I put a 5mm Pentax XW in the 8" and was amazed at the beauty. I could see everything that was visible on the laptop screen while imaging (not always the case I assure you). Then, I went outside the observatory to the Tak. I had a binoviewer in and the scope was centered on Porrima. I hit the Goto to Saturn (AP MachI) and sat back as the scope turned to it. When I looked in there it was. I was shocked!! The view was as good (better?) than the view with the 8"! The image was bright, sharp and extremely crisp. I was using about 339X on the TMB and 180X on the TSA 120 with binoviewer. I saw a faint moon near the polar region of the globe with the 8". Knowing where to look I was able to see it with averted vision in theb Tak. Now, I am not saying the Tak is as good as the 8" TMB. The 8" F/9 TMB is a super scope. In retrospect I should have backed off magnification and used the binoviewer with the TMB. But, to be honest, I was too amazed/shocked to think about it.